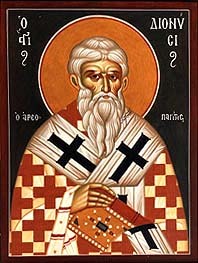 By "Dionysius the Areopagite" is usually understood the judge of the Areopagus who, as related in Acts, xvii, 34, was converted to Christianity by the preaching of St. Paul, and according to Dionysius of Corinth (Eusebius, Hist. 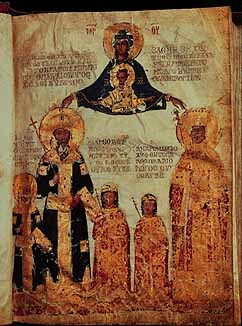 Eccl., III, iv) was Bishop of Athens. In the course of time, however, two errors of far-reaching import arose in connection with this name. 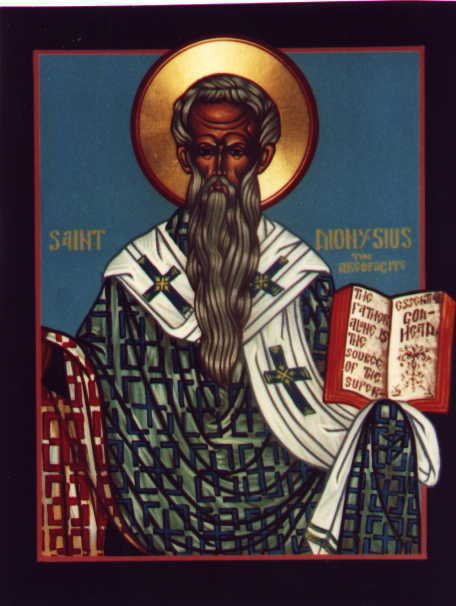 In the first place, a series of famous writings of a rather peculiar nature was ascribed to the Areopagite and, secondly, he was popularly identified with the holy martyr of Gaul, Dionysius, the first Bishop of Paris. 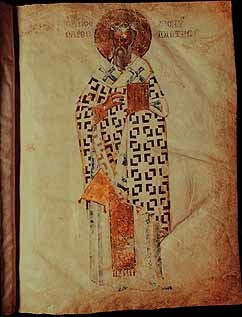 It is not our purpose to take up directly the latter point; we shall concern ourselves here (1) with the person of the Peudo-Areopagite; (2) with the classification, contents, and characteristics of his writing; (3) with their history and transmission; under this head the question as to the genuineness of, origin, first acceptance, and gradual spread of these writings will be answered.